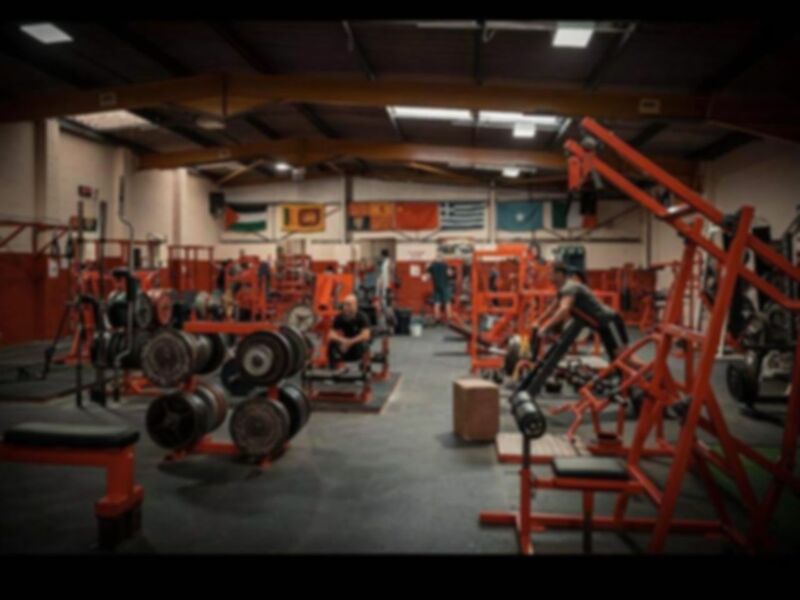 The Warehouse Gym is a traditional weights and bodybuilding gym and they have everything in their armoury to give you the best workout you can get. The facilities cater for everyone looking for a good workout, whether it be weightlifting, toning, strongman or functional training. The atmosphere is geared towards a friendly but hardworking environment and the gym decor makes this gym not only unique but creates a great atmosphere. There is a large matted area for functional training such as tyre flipping, ropes and also car deadlifts. There is also a large selection of dumbbells and resistance machines and a whole room dedicated for leg training. There are a few machines for cardio thought the primary machines in the gym cater for toning and muscle building. There are also both male and female changing rooms, lockers and parking available outside. From Leicester town centre head out onto the A47 (Humberstone Rd). After ~500m joining this road turn left onto Forest Rd. Head over Willow Brook and join Hastings Rd then turn off onto Lunsford Rd. Great range of equipment for powerlifting/strongman/bodybuilding. Never had a bad day at the warehouse gym, give it a go, you’ll love it! Has everything you need but cardio machines are limited! Friendly staff, all the equipment you need. Was a little ill so I couldn't train as intense as I wanted but all in all a good session. An amazing gym, the biggest one I’ve ever been too! Never seen so much equipment in my life! Worth a visit!